Shot 2 days ago. We don't usually get much snow here and if we do it melts fairly quickly down in the lowlands of Western Washington. Now we have snow on the ground for a few days. It was a sunny and warm day and with snow on the ground in midday created perfect conditions for heat shimmers and it was near impossible to get really sharp images. You would never guess you can have it in winter. Good friend of mine who was shooting Canon 5D Mark IV with 400mm f/2.8 noticed same thing. One of those strange days. 1/1600, ISO-400, f/9 on tripod. Heat shimmer, air pollution, and humidity are not conducive to good photography. We have them all here. Nice natural setting and a nice shot. Very interesting information on heat shimmers, Ludo. Nice shot of the owl in natural habitat. another cool shot in habitat Ludo. 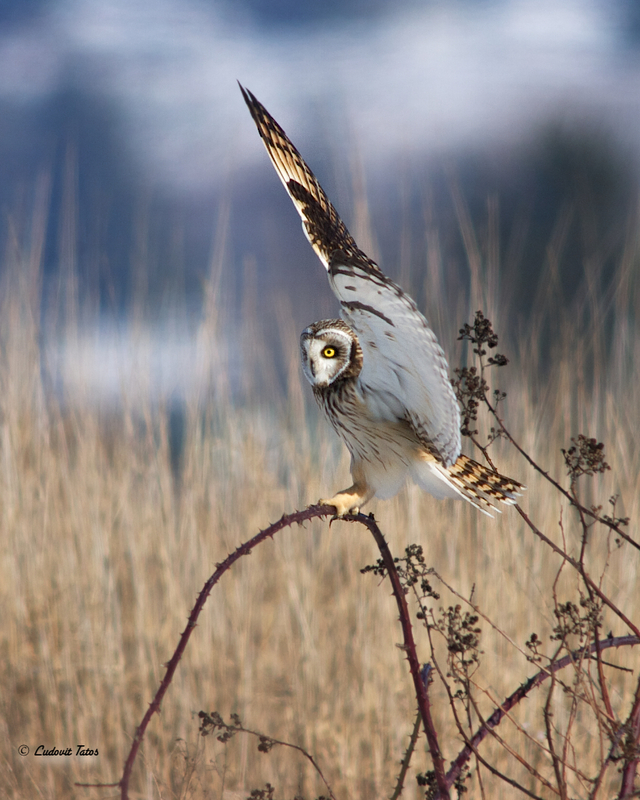 Beautiful owl in natural habitat, and love the pose, Ludo! Fantastic action frame in natural setting. This is a great photo; nice framing and action, but it looks a bit too heavily edited for me. The face and the wing look like a painting. CBoylston. The photo you see here is nearly identical to the RAW image with only minor basic adjustments. This is the reason why I shoot mainly with D2Hs even though I own D4 also , old D2Hs Nikon 4.1 MB body with a huge pixels is creating vivid film like colors. Nikon D2Hs is using JFET-LBCAST sensor developed by Nikon and only used in D2 bodies.